A Reel Education LIVE on June 29th! A Reel Education is pleased to return to The Trylon Microcinema on June 29th! 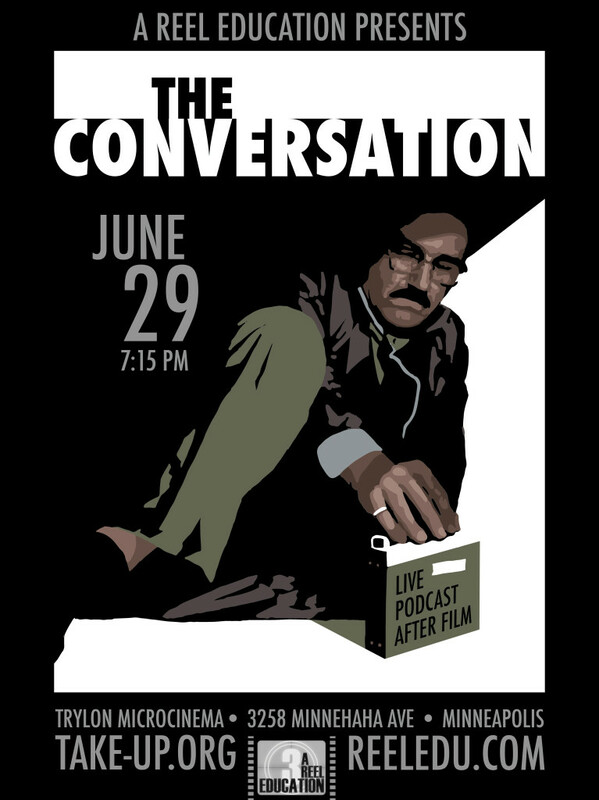 This time, we will be presenting the The Conversation, the 1974 psychological thriller starring Gene Hackman. 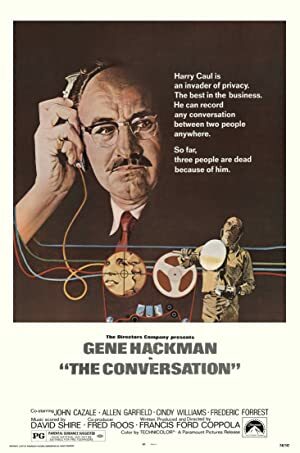 One of Francis Ford Coppola’s finest films, The Conversation is a complex piece steeped in Watergate-era paranoia. The Trylon Microcinema is a wonderful, intimate non-profit theater in South Minneapolis, whose focus is on rare, classic, and unusual films. They also serve organic popcorn with real butter, so you know these folks are serious about the film experience. Join us! And spread the word! Film starts at 7:15 PM. Podcast will be recorded immediately after the film. Plot: A paranoid, secretive surveillance expert has a crisis of conscience when he suspects that a couple, on whom he is spying, will be murdered.